PUBLISHED BY: Elizabeth Cox & Son. Neely & Jones; Simpkin & Marshall; Anderson; Burgess & Hill; Deighton; etc. DATE OF PUBLICATION: 1821 (first edition). 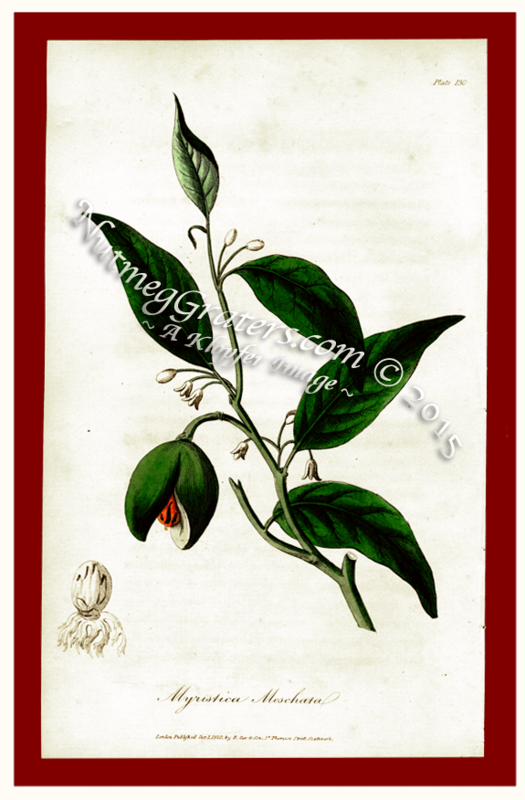 study of "Medical Botany", and includes plant and herbal histories. PAPER TYPE: Heavy bond, handmade antique laid and chain~link paper, no water mark. HISTORY: Medical Botany: Or, History of Plants in the Materia Medica of the London, Edinburgh, and Dublin Pharmacopoeias, Arranged According to the Linnæan (Linnaean) System was published in 1819 and 1820 in London. Printed in two volumes, it was a medical and historical botanical reference intended for the study of "medical botany", being useful for "Apothecaries". Volume 1 is illustrated with seventy-two colored plates with the frontispiece being the portrait of Carolus von Linneus, Knight of the Solar Starr, Professor of Botany. Volume 2 is illustrated with one hundred and thirty-eight colored plates. Each plate is accompanied by a descriptive and historical text. Suspiciously, the actual writer's name remains anonymous and self-references the work, acknowledging them self only as"The Author", as seen both on the dedication page and within the Preface text. E. Cox & Son were limited regarding their publications. Our modern WorldCat lists Cox's Catalogue of Dispensing Labels (1828) and Cox's Catalogue of Dispensing Labels, at 2s. 6d. Per Thousand, Gummed For Immediate Use ["sold by E. Cox, at the Original Label Warehouse, St. Thomas's Street, Borough"] (1836). These later products were sold primarily to druggist and apothecaries. Based on the Cox publication, A. B. Strong (in 1847) and W. M. Clark (in 1853) modeled identical engravings for myristica in each of their botanical publications.